Visiting the nature and game reserves of the Eastern Cape is an incredibly special adventure for nature-lovers and those with a yearning for the African outdoors. The Eastern Cape is extraordinarily beautiful; its landscapes characterised by rolling green-topped hills, massive rivers, and little Xhosa villages. 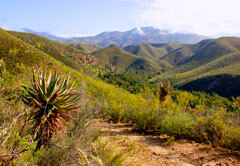 This is the idyllic setting for an impressive array of plant and animal species to thrive in their natural habitats. 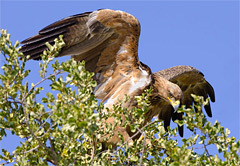 The reserves and national parks of the Eastern Cape are teeming with many of these exciting species. 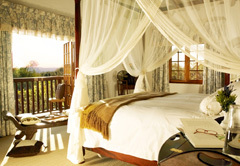 In addition, this is a malaria-free zone, making it a particularly great safari destination for the whole family, while staying at one of the many game lodges. Many of the reserves and parks of the Eastern Cape are home to the Big Five; which is made up of the lion, elephant, rhinoceros, buffalo, and leopard. Game drives or safaris in the early morning and evening allow visitors to see a large variety of the animals as they eat, drink, interact, or emerge from their sleeping spots to begin their hunt. Although many of the parks are easily navigable on a self-driven safari, guided tours are also fantastic. Expert guides are able to track animals, point them out to passengers, and answer questions about the local flora and fauna. The Addo Elephant Park is world-famous for its 500 African elephants, as well as the rest of the Big Five. The roads are easy to navigate (even in a sedan), and there are a number of lookout spots, particularly near the watering holes of the animals. 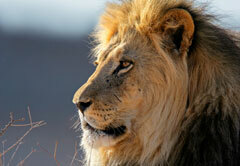 The wildlife here includes giraffe, zebra, warthog, mongoose, African wild cat, caracal, jackal, and hyena. The Eastern Cape game reserves and national parks comprise an outstanding selection of private concessions and award-winning private game reserves and lodges too. These include the Mountain Zebra National Park, Camdeboo National Park, Shamwari Game Reserve, and the Amakhala Game Reserve. 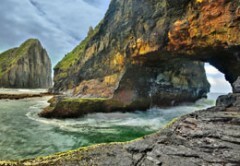 The province stretches along the coast of South Africa and its waters are rich in marine life. Dolphins are often seen from the shore, and whales can sometimes be spotted from the beaches during the latter half of the year. Click on the game reserve, national park or nature reserve you wish to visit on the Eastern Cape map or select from the full list below, to view additional information about the reserves and for listings of all lodges listed in the relevant area.